Ana Rodriguez is listed as a member of Earth First! 's speaker's bureau and served as editor of the Earth First! Journal. 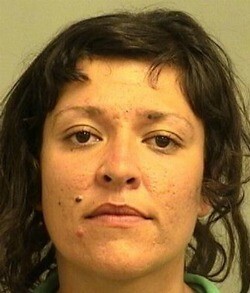 Ana Rodriguez has been described as "a member of the Night Heron Grassroots Activist Center. She was also a member of the Occupy Wall Street movement. "Former editor of the Earth First! Journal and organizer with Everglades Earth First! and the Palm Beach County Environmental Coalition, and Coalition for Immigrants Rights. She has also been a volunteer with the Inner City Outings program of the Loxahatchee Sierra Club. She grew up in Venezuela and recieved a B.A. in Communication from Florida Atlantic University. She worked 2006-2009 as Master Control of WXEL public broadcast television. She has been arrested multiple times for participating in civil disobedience for ecological and social justice. 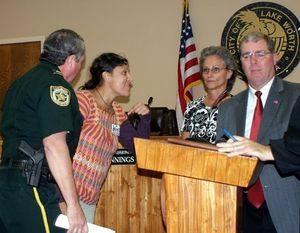 In 2009, Ana Rodriguez confronted newly-elected City Commissioner Scott Maxwell for his stance on illegal immigration. This page was last modified on 9 April 2018, at 03:19.